Coming later this year, with something in it by me! It's not over yet, but 2018 was a year of multiple professional anniversaries for me. Most fall into the decade category, but one is a decade-and-a-half, so I'll mention it first. Fifteen years ago this fall, The Legion Companion was published, the first of four books that I did for TwoMorrows Publishing. It's long since out of print, and copies in the second hand market get upwards of $100. So if you don't have one, you might want to start saving your money now! As far as the ten year anniversaries go, first up is the cover story that I did about Dave Cockrum for Alter Ego magazine. I had numerous interactions with Dave due to my Legion books, so I more or less volunteered to be the one to write about him after he died. 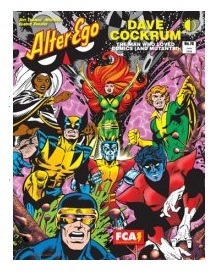 Luckily, editor Roy Thomas took me up on it and my article, "The Man Who Loved Comics," came out in Alter Ego # 78. 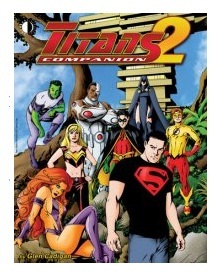 Next up was The Titans Companion 2, the last of my projects for TwoMorrows Publishing. There are actually still copies available, but they won't be around for long, and you can order one at a substantial discount (70% off) here. 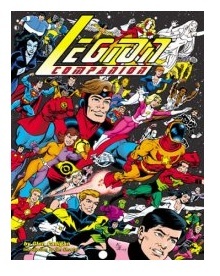 2008 was also the 50th anniversary of the Legion of Super-Heroes, and I wrote an article about its publishing history for that year's Comic-Con International Souvenir Book. And since the Legion was on the cover, I guess you could say that makes it a cover story, too. 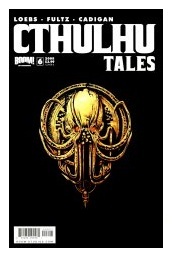 The fall saw two stories of mine published in back-to-back issues of Cthulhu Tales. I told the story of how that happened here, and if you've been paying attention to anything I've written over the last year, the first of those, "One of Those Days," was adapted into the short film Eldritch Code. It was released online in May after a very successful (*cough*cough* award-winning) film festival tour throughout 2017 that included over thirty dates in fourteen countries on four continents. If you haven't seen it yet, it's only a click away! So happy anniversary to the above projects, and to others to come! Summer is now unofficially over, but before the twenty-second rolls around and it's officially fall, there's still news to discuss! 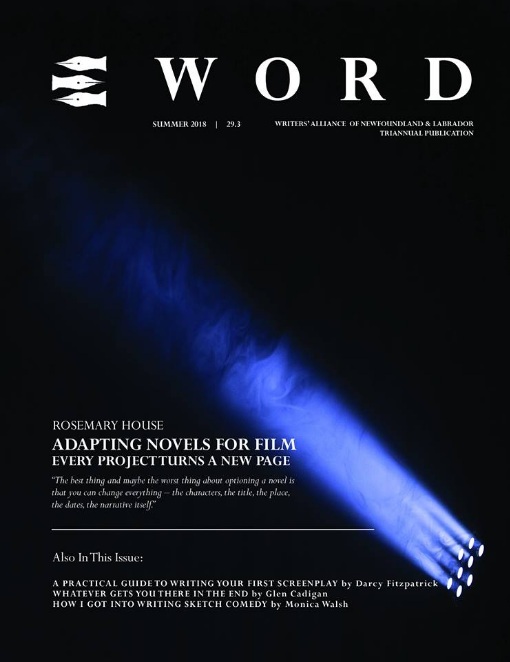 Back in winter I was asked to write an article for Word, the official periodical of WANL, the Writer's Alliance of Newfoundland and Labrador, about the process of going from writing about comic books to writing comic books to having a comic book story be adapted into film. I was a new member, and those weren't the usual credentials, so it caught their eye. Thus was born, "Whatever Gets You There In The End," the story of how "One Of Those Days" was turned into Eldritch Code. In fact, I was told that it inspired an entire theme issue of writing off the page (screenplays, adaptations, sketch comedy), so I'm pretty happy with how things turned out. It'll eventually show up here on this site, but for now it's for WANL eyes only! 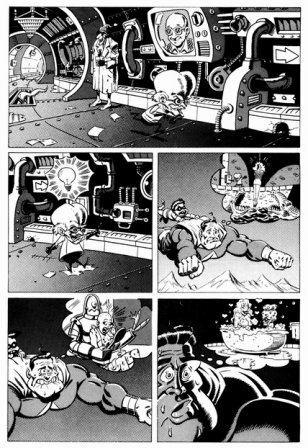 Before and after: a page of Interact-O-Rama both with and without words. Speaking of this site, it was recently updated to include another installment of Hits & Misses. This time around it's about a contest I once entered in which participants were invited to script an already illustrated comic book story. The catch was that the pages could be arranged in any order, and you had to use all of them. 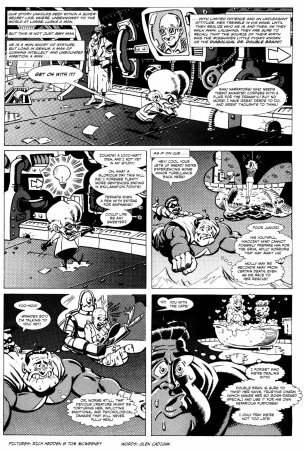 Rich Hedden drew it, Tom McWeeney inked it, and the words that you see here on this page are mine. But did I win? You'll have to read the article to find out! April showers are supposed to bring May flowers, but this year it was a short film based upon a comic book that debuted in May. 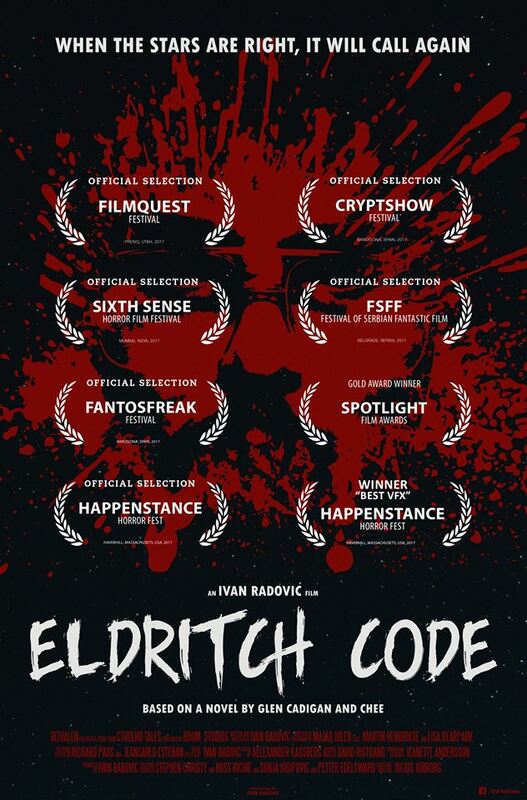 Eldritch Code - Short film on Vimeo. 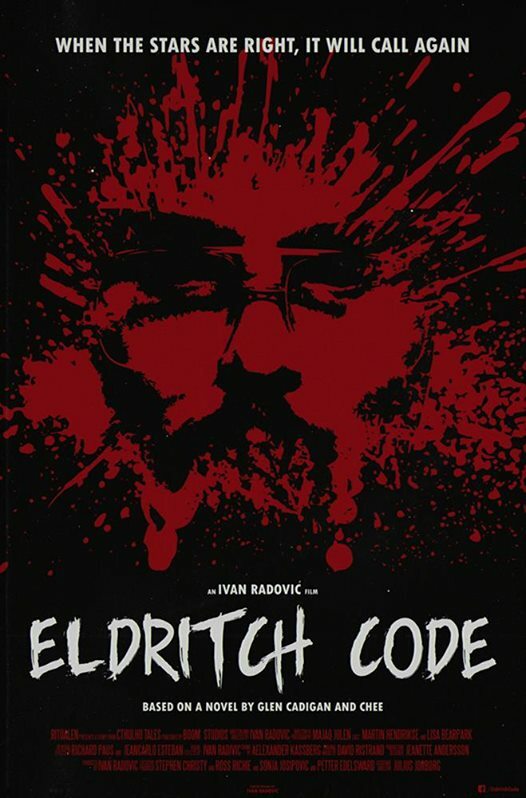 Eldritch Code saw its general release on May 2, and within a few weeks, thousands of viewers were added to the list of those that already saw it as part of its film festival tour. 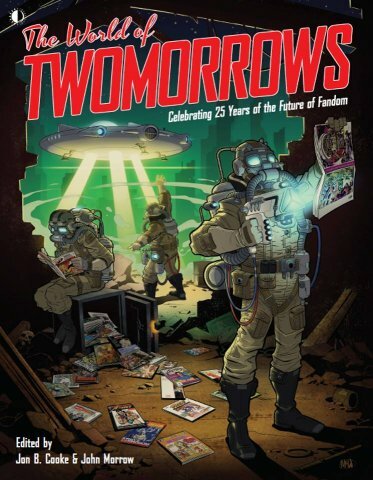 Not only that, but Eldritch Code has been mentioned in the press by Newsarama, Comic Book Resources, Bleeding Cool, Ain't It Cool News, Diamond's Scoop newsletter, Toy Lab, Creepy Factor, and Horror Society. It's also been showcased at FilmShortage.com and FirstShowing.net, and it's not done yet! Expect more news and highlights as the word continues to spread. 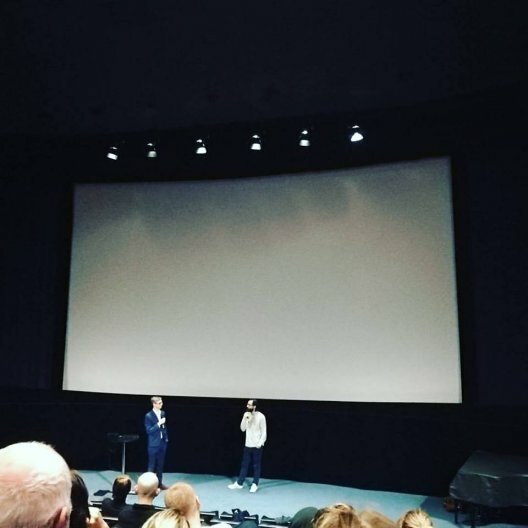 Director Ivan Radovic being interviewed at the World Premiere of Eldritch Code in Stockholm Sweden, on May 17, 2017. Photo by Sonja Josipovic. Still a couple to go, then it'll be released online for everyone else to see! Not bad for a short film based upon a short story made for little (or no) money. Hats off to director Ivan Radovic for making it all happen! 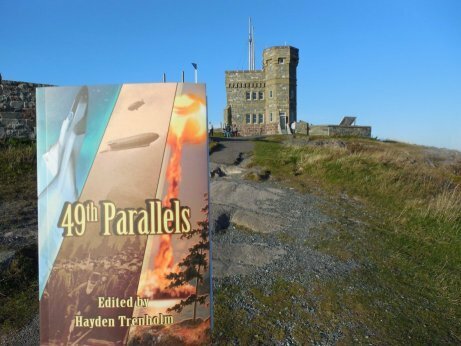 When 49th Parallels was released back in October, various contributors took to social media to announce the fact that their copies had arrived. Living out in Newfoundland, I decided that simply saying it had made it all the way out to the east coast wasn't enough. I needed to prove it. That's Cabot Tower on Signal Hill, on a sunny autumn day. At some point, it hit me: what if other contributors did the same thing? 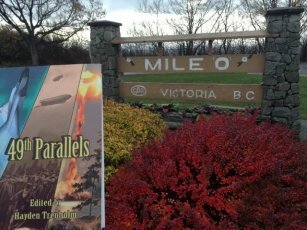 What if we had a chain of pictures from coast to coast, a series of book selfies to show 49th Parallels all over Canada? On the left, Mile '0' in Victoria, courtesy of Krista Wallace. On the right, Mile Zero in St. John's, courtesy of Glen Cadigan. The great thing about the idea was its practicality. With over twenty contributors across the country, all they needed to do was step outside and take a picture. Everybody has a cell phone, and cell phones come with cameras built in. What's more, coast to coast projects usually leave out Newfoundland, and this one was starting there. That's the hardest one done first. You can check out the 49th Parallels Challenge over at Instagram. Others picked up the gauntlet, and more pictures are added all the time. 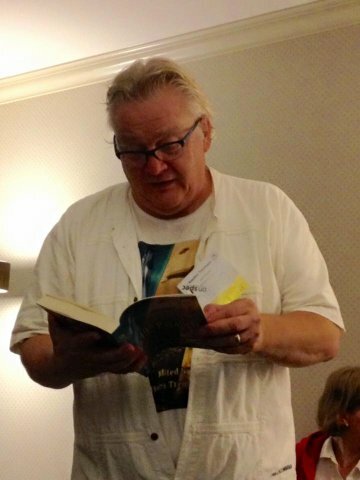 In a perfect world, readers will join in and take selfies of the book (tagged @BundoranPress), but right now, it's just the authors participating. What started out as something to amuse ourselves has grown, and I recommend following the book on Instagram to see how far it grows! 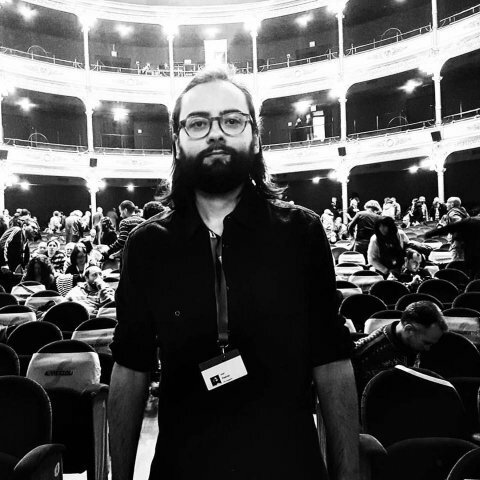 November is also off to a good start, with festivals in Mexico (Nov. 1 / Sacalacalaca Horror & Sci-Fi Festival / Mexico City) and Italy (Nov. 3 / Trieste Science+Fiction Festival / Trieste) under its belt, plus a return to Spain (Nov. 9 / Terrorificamente Cortos Terror and Fantasy Festival / Palencia) and a visit to Iceland (Nov. 12 / Frostbiter: Icelandic Horror Film Festival / Akranes) on the horizon. The Eldritch Code has truly spread worldwide, and the year isn't over yet! Congratulations to director Ivan Radovic for all of its success! 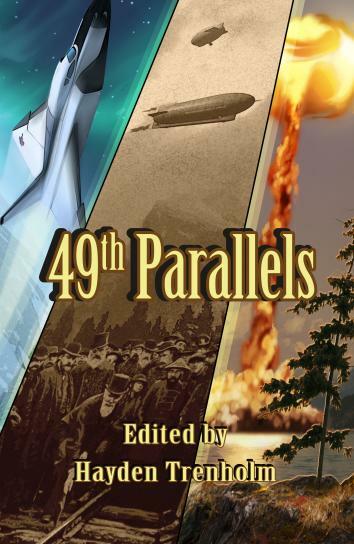 On October 14, 49th Parallels: Alternative Canadian Histories and Futures had its book launch at Can-Con in Ottawa. While I wasn't there, others were, and here's a picture to prove it! That's Hayden Trenholm, the book's editor, at center stage. 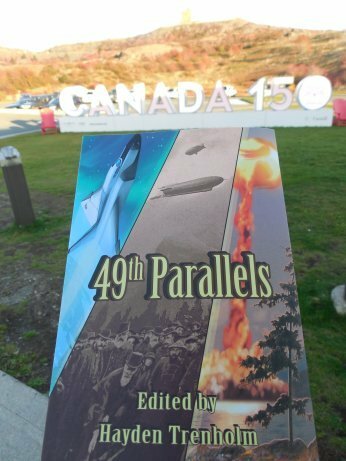 The volume features my story, "51-49," about an alternate Canada where Newfoundlanders voted 51-49 against Confederation. You can buy a physical copy here and eBooks are available here and here. Summer is now officially over, and Eldritch Code, based on the short story "One of Those Days," that I wrote and Chee drew (originally published in Cthulhu Tales # 6), has been all over the world at film festivals everywhere. It continues its journey in the Fall, and here are some of the places it's been and awards it's won! 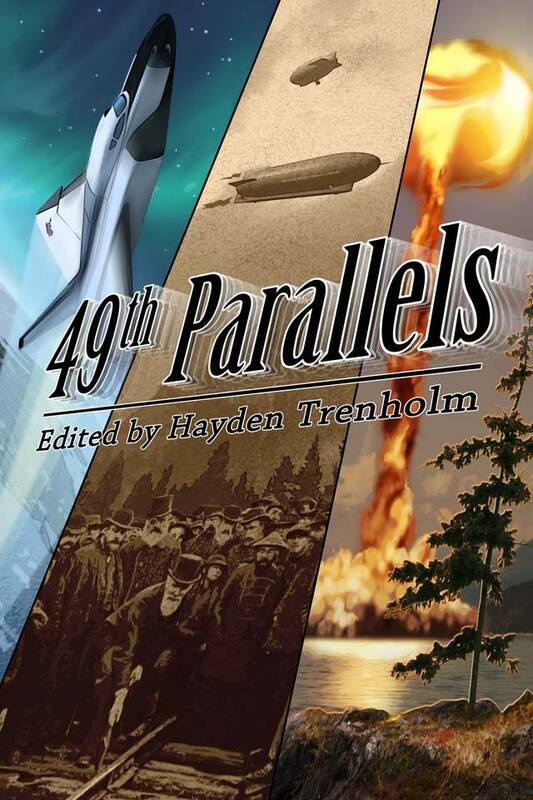 This is the cover of 49th Parallels, a Canadian anthology released to coincide with our country's 150th birthday. 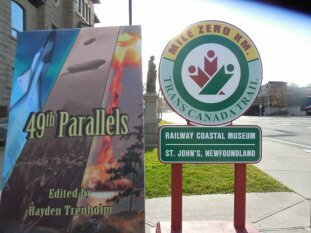 It contains 20 stories and 5 poems by 23 authors from coast to coast in Canada, along with a couple of Canadian sympathizers. I'm one of the authors, and it'll be available for purchase in about a month's time! Here's the movie poster for Eldritch Code, based upon "One of Those Days," a short story written by myself and illustrated by Chee (it originally appeared in Cthulhu Tales # 6, published by Boom! Studios). It's directed by Ivan Radovic, who read it, liked it, and turned it into a short film. Soon to be at a film festival near you! 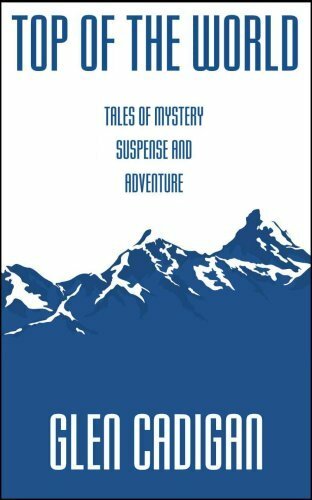 Top Of The World: Tales Of Mystery, Suspense, And Adventure goes on sale today! Bedlam & Belfry, Intergalactic Attorneys at Law: The 1st Dozen was featured in NetGalley's August Humor Newsletter!